The Blog Spotlight – Could it be Yours? I’ve had an idea that I think is quite exciting. I hope it’s exciting, anyway – you might beg to differ. But hear me out. I want to offer a space in my sidebar (the big one to the furthest right of the page) to be used by one blog or independent website each month as a way of driving traffic and increasing their audience. There are thousands of people out there working hard at their blogs, whether as a hobby or a career and it’s incredibly difficult to get yourself seen and increase your audience, so this is just a way that I think I can provide a bit of help. 2) A guest post of your creation (see below) with a link to your blog or website at the bottom and a short bio and description of what you do. 1) Leave a comment below with your name and the name of your blog/website, making sure there’s a way for me to contact you. If you sign into the comments (Disqus) with your Twitter, Facebook or email then I’ll already have these in my system. If you sign in with a made-up name or anonymously, rectify that situation! 2) In your comment, tell me in approximately 50 words what you’d like to guest post about. It doesn’t have to be about beauty or fashion, just whatever takes your fancy that you think would make an interesting, engaging post. 1) Anyone of any age may enter this monthly Blog Spotlight competition, but if you’re under 16 then I’ll need your parent’s permission to feature you on A Model Recommends. You must, however, own the blog or website that you’re entering and the work must be all yours. 2) Your blog does not have to be a beauty or fashion blog! It can be a tiny blog with two followers or a bigger blog with hundreds, though I would say that if you have an enormous following already (you’ll know who you are!) then it would be nice to leave it more open to newer and smaller bloggers. 3) All entries must be in by the 20th day of the month to be considered for the following month. We are now in March, so the cut-off date will be 20th March and the winner of the Blog Spotlight will be contacted by the 27th at the latest so that they have time to create an ad and write their post. 4) I always have a huge work backlog, so dates are at my discretion. Sometimes it’ll all run a bit late – that’s just life I’m afraid! 5) The winner will be judged upon their 50 word guest post idea but also their blog – the quality and originality of posts, frequency with which they appear, use of social media platforms to build an audience, that kind of thing. It won’t be a precise, scientific kind of judging because it really can’t be – of course it’s going to be somewhat subjective but that can’t be helped! 6) I reserve the right to employ helper judges if there are lots of entries but my decision will be final. I also reserve the right to withdraw an offer if for some reason the winning blog or website subsequently produces content that is deemed offensive or inappropriate. 7) There is no equivalent monetary value to this monthly prize and it’s non-transferrable. OK, I do hope that all makes sense? 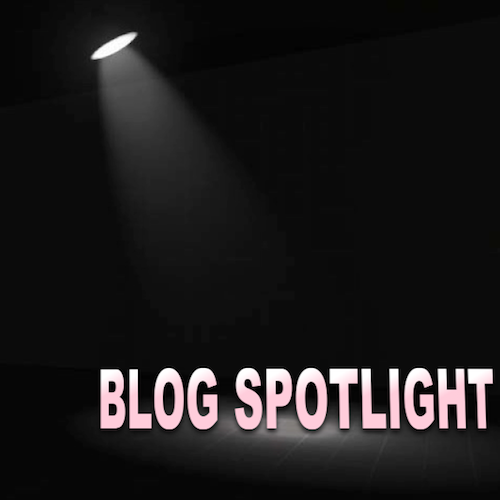 Please do spread the word and let people know about the Blog Spotlight – the more the merrier! N.B. I know that you can buy ad spaces for your blog on quite a few big websites and beauty blogs – I think that’s a fantastic idea and a brilliant way to get your work seen. I’m not trying to undermine that at all, just hoping to give a bit of a boost to one person a month!